Hoodoo Brown was the Baddest Cowboy of them all. A bank robber, cattle herder, Justice of the Peace, moonshiner and cook, Hoodoo Brown epitomized life in the Wild West. We celebrate Hoodoo Brown's spirit and authenticity by cooking the best Texas Outlaw barbecue on the planet...or at least right here in Ridgefield. Owner Cody Sperry was inspired several years ago on a "guys trip" to Austin, Texas. There they traveled to over a dozen barbecue joints, with owner's generously sharing their stories, secrets and passion for creating true Texas barbecue. He returned to Ridgefield with a new outlook and desire to replicate what he experienced in Texas. He started his apprenticeship on a Big Green Egg smoker and eventually opened a barbecue catering business. Through the encouragement of his customers, friends and family, he decided to open Hoodoo Brown BBQ. Which brings us to today, Hoodoo Brown Barbeque opened May 22nd, 2015 and we are happy to bring our style of outlaw barbecue to the Northeast. Hoo's Hungry? Chopped brisket or pork, pit beans, jalapenos and our signature cheese sauce over chips with fresh guacamole and sour cream. Choice of sauce: Spicy Buffalo, BBQ, Citrus Bourbon Teriyaki, garlic parmesan and Rajun' Cajun'. Severed with a BBQ Ranch Dipping Sauce. Spinach, Goat cheese, Strawberries, Smoked Almonds and a Strawberry vinergerette. Pork belly, lettuce, fried green tomatoes, BBQ Ranch sauce. Shaved Pork Ribs, Pulled Pork, Pork Belly, Hoodoo Voodoo Sauce, Fried Green Tomato and a Smoked Garlic Bacon Mayonaise. Create your own BBQ sandwich. Your choice of brisket, pulled pork or sliced turkey. Served with a salted caramel glaze. Graham cracker crust, Smores Ice Cream, Chocolate swirl, fluff icing, toasted marshmallows. 44 North Huckleberry Vodka, fresh lemon, lemonade, topped with raspberry liqueur. Titos Vodka, Ginger Beer, Lime Juice and Jalapeno. We Now Offer Pig Roasts! We bring it all, the pig, the smoker one of our pit masters, and we cook the whole hog for your friends, families, coworkers, neighbors whomever! We cook your whole hog on our brand new BQ Grill, over fresh hot coals. This is something you can't get anywhere else! Minimum 50 People: We Bring the Pig, Sauce, Coleslaw, Buns and Corn Bread. To boil it down to its simplest form for parties over 25 people we charge $30-$36 a person based on the menu. For however many people. We can do everything. Or focus it. That's up to you. We can make the party work to your needs. Looking for Hoodoo to simply supplement your party? Here are a couple flat rate prices on some of our favorite items. Have us Cater Your Next Party? Email us with your Name, phone number and an outline of: number of guests, date of event and menu requests to Catering@hoodoobrownbbq.com. We will make the perfect party package for you and your friends, family or coworkers. Call the restaurant at 2034386033 if you have any Questions, Thanks. Need to Connect faster for a catering concern call our Manager Chris directly at 203-233-8527. Hoodoo is headed to the Bayou! 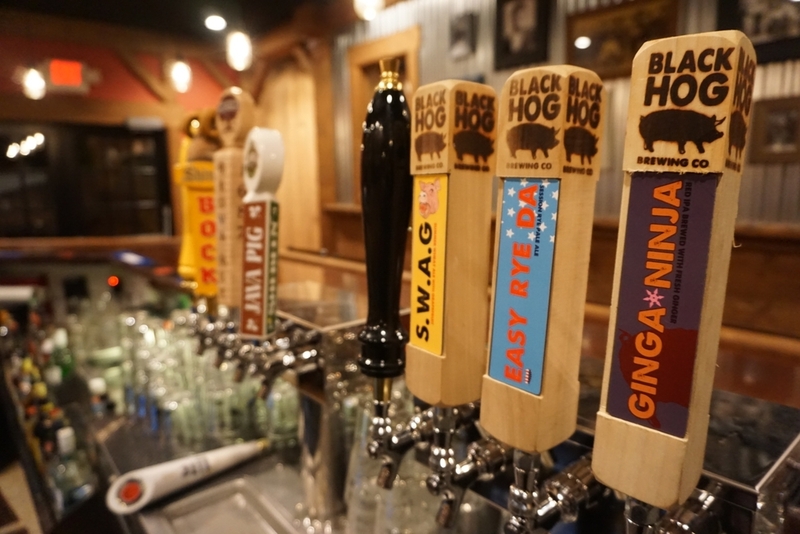 We will be closing the week of March 25th-31st to join our friends Ronnie, Phil and all of Blue Oak BBQ at Hogs For The Cause. This barbecue festival is a two-day event full of music, local beer, and fundraising hosted in New Orleans, Louisiana. Hogs for the Cause raised over $1.4 Million dollars last year to support Families, Fighting Pediatric Brain Cancer. We hope to join the effort with some fun fundraising and sponsorship opportunities of our own. So stay tuned to Hoodoo Brown on all our platforms for events and opportunities. Plus for any other questions about the event check there website at Hogs For The Cause. Mentioned in every social media post about event, before, during and after. Name Listed in all our marketing materials, including post on Instagram. Spend a full Sunday in the Pits with Pitmaster Cody Sperry, Learn everything there is to be taught from a day in the pits. Full Brisket, Beef Rib Rack and Pork Rib Rack to bring home after days work. Dinner on us, for you and family or friends, enjoy a night at Hoodoo to support the cause. 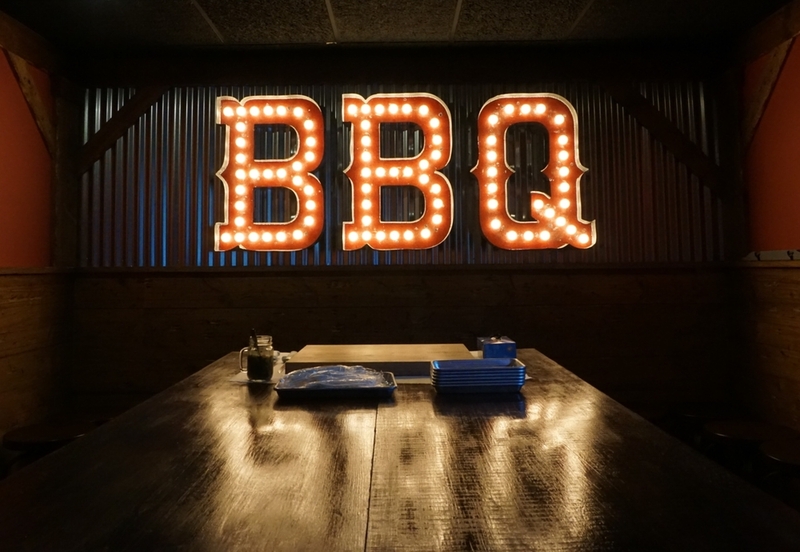 Enjoy a Dinner for up to 12 at Hoodoo Brown BBQ in our back room. Cash Bar and Tip not included.